In the last update of WhatsApp, developers added a new feature in the application. Now, with added feature, not only we get to know if our message has reached the person or not, but now we get to know if the person has red our message. If the person has red the message we will see two blue ticks next to the message. This was the feature which many users requested, actually demanded and here we have it. Though many users like the feature but still there are some who found it annoying. By this time, the feature is mandatory, this means we cannot avoid the blue ticks (We cannot avoid sender getting receipt for our reading of his/her message). What? Hold on, this was the reason you are here. Okay, okay, so here is another update. It looks like the number of annoyed users are increasing and now we can disable this feature. 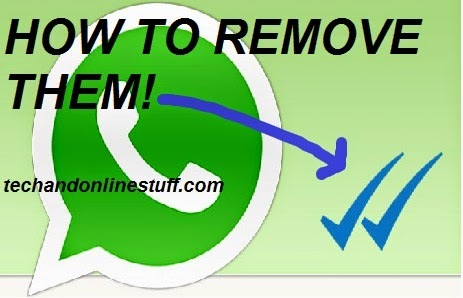 There is an official update from WhatsApp in which you have option to disable this feature. 2. Install the downloaded app. It will update your recent version. Any of your data (messages, images) will not be affected. 3. In WhatsApp, go to settings (from top right corner). 4. Go to Accounts, then privacy options. 5. 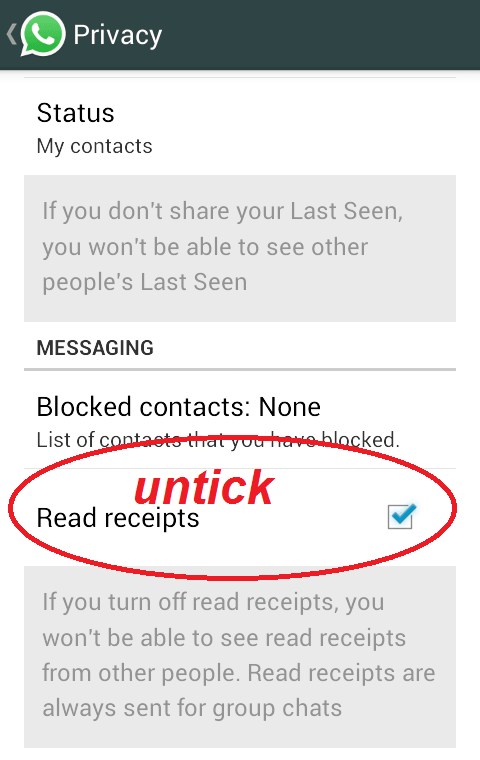 Scroll down and uncheck the “Read receipts” check box.